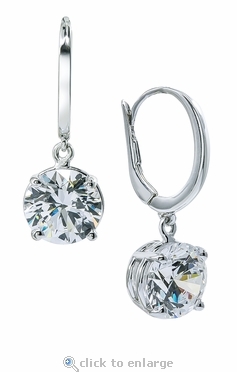 The Mega 2.5 Carat Each Round Cubic Zirconia Leverback Drop Earrings are a stunning pair of drop earrings that are basket set and brilliantly dangle to allow movement. Our lab created laboratory grown Russian formula cubic zirconia are the finest quality available. 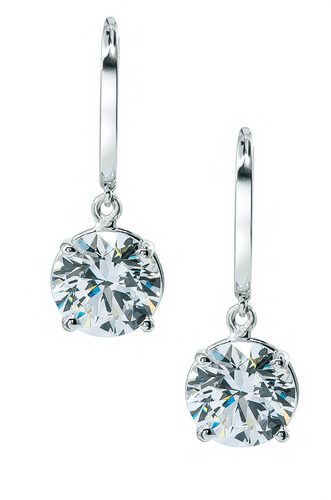 Each 2.5 carat round measures 9mm in diameter for a total of 5 carats in total carat weight for the pair. 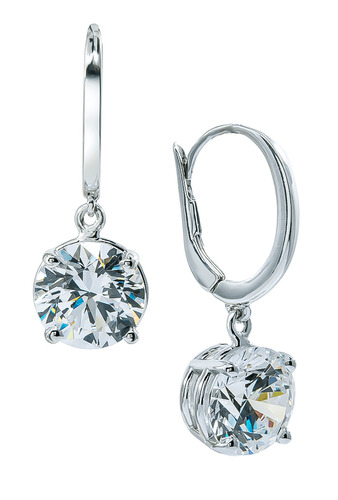 These drop earrings make a statement with its generous and substantial leverback styled setting. The setting is in perfect proportion to each 2.5 carat simulated diamond round. Choose from 14k white gold and 14k yellow gold. For further assistance, please contact us directly at 866-942-6663, option 2 or visit us via live chat and speak with a knowledgeable representative.